← Do Hardwood Floors Scratch? 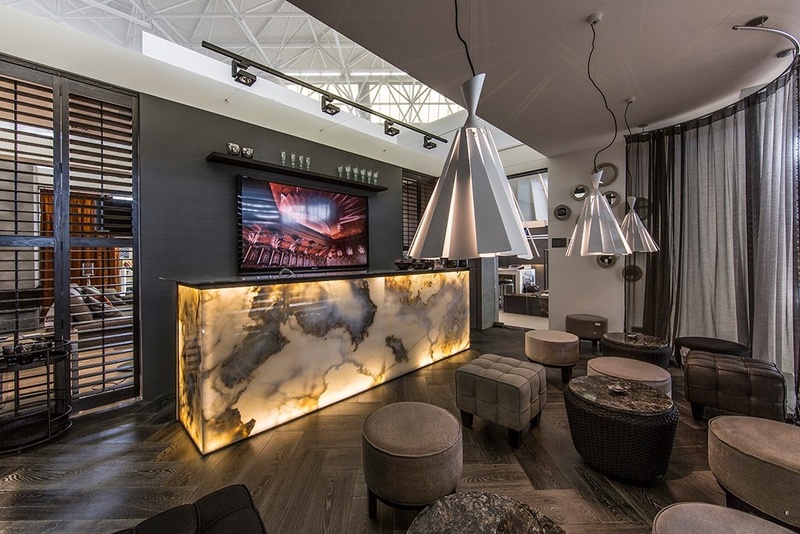 WFT recently sat down with our good friend Johan Delissen from Royal Dutch Floor in Schijndel, Holland to discuss current hardwood floor trends. Royal Dutch Floor is a leading producer of hardwood flooring in Holland. 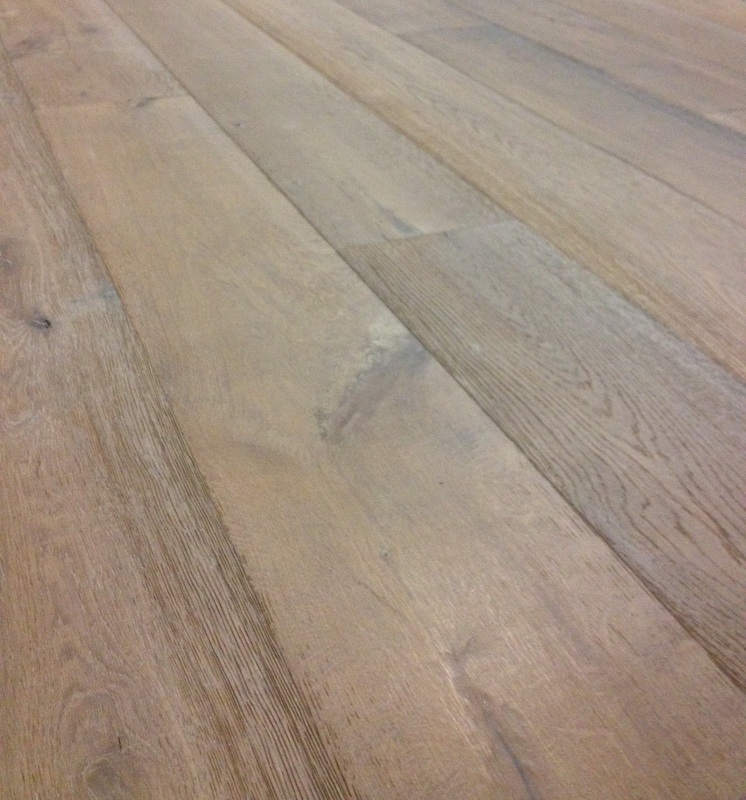 WFT – Johan thanks for taking the time to visit with us about current trends in wood flooring. Johan – Thanks for having me. WFT – It’s a common understanding that the wood flooring trends and designs we see in the US market have found their genesis in Europe. Talk to us a little bit about how wood flooring trends flow in Europe. Johan – In Europe, the Dutch are commonly referred to as the trendsetters for what becomes popular in the wood flooring market in the rest of Europe. In general, what you see in Holland today is what will eventually make its way to the rest of Europe. 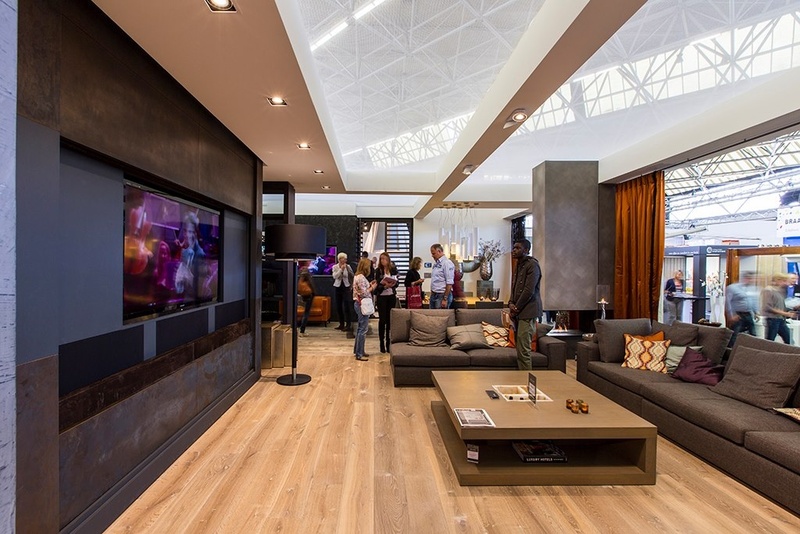 WFT – What specific trends are you seeing in the wood flooring market currently? Johan – White oak flooring, in wide widths, long lengths and natural grades that show the full complement of character markings and natural imperfections are still the most popular platform. 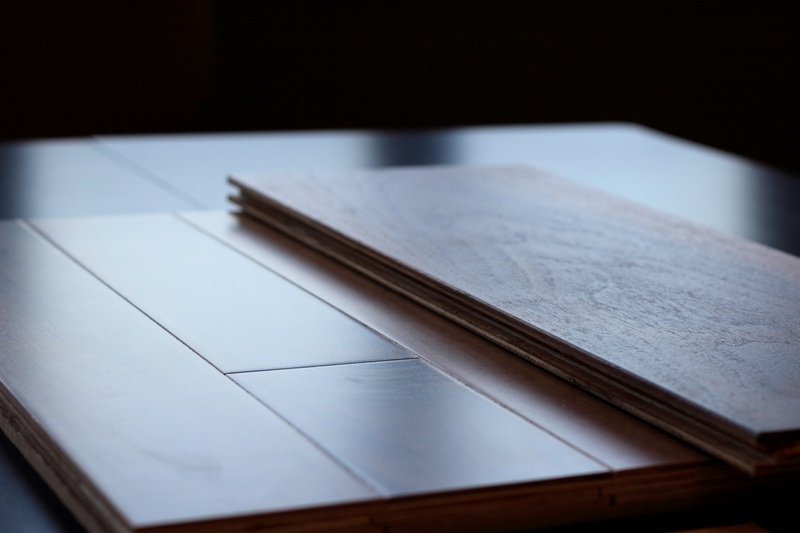 WFT – In the US, wood flooring grades have moved towards more natural grades as well. Clients used to want all the natural defects cut out and only the most uniform boards both in color and graining in their floors. Is that similar to what you’ve seen? Johan – Yes. In all aspects of the product from the grade, to the colors to the finish clients want all that is natural about wood to be visible and tactile. The bottom wood flooring sample was finished with 9 coats of polyurethane. Although the wood is walnut, the reflective light causes all color to be washed out. The 9 layers of finish also hide all graining and natural imperfections in the wood thus robbing it of its natural-ness. The sample on top was finished with 4 coats of UV cured oil. The finish remains closer to the face of the wood allowing the grain and texture as well as the color to shine through even against a bright backdrop. WFT – Speaking about color trends, what are clients asking for in terms of the color palette? Johan – Natural floors without color embellishment are very popular and any color that reflects some sense of natural tones. Even the grey tones that result from the use of reactive staining techniques are hints of nature in the sense that they make the wood look like it has naturally weathered. Wide plank white oak wood floors provide a prominent natural feature in Royal Dutch’s trade show booth at a recent expo. WFT – Describe for us what a reactive stain is and how that effects wood flooring. Johan – Reactive stains work by “reacting” with natural components in the wood. Tannins, which are present in most wood but are highly concentrated in white oak react with the stains to naturally weather or age the wood’s appearance. WFT – What affect do these types of wood floor stains have color selection? Johan – With reactive stains you can achieve a much brighter, almost 3D appearance in the graining, that is very difficult if not impossible to achieve with traditional stains. Scandinavian theme grounded with white-washed euro white oak wood floors in this recent residential job completed by Royal Dutch Floors. 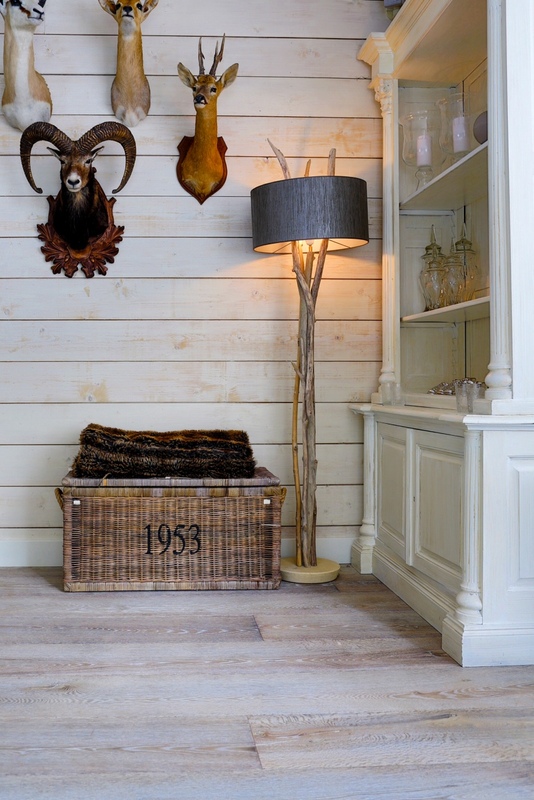 WFT – Are there other trends in wood flooring design that you are noticing? Johan – We are also still doing a lot of burning or charring to achieve color contrast as well as bleaching and lye treatments to achieve these naturally aged or rustic looks. These large format herringbone wood floors set the table for this interior. WFT – What’s on the horizon for Royal Dutch Floor? Johan – We continue to develop new product lines which you can see in the pictures I provided from our showroom and we are currently working on a more robust web page to further our online presence. WFT – Johan thanks for taking a few minutes to get us up to date on what hardwood flooring trends you are seeing in Holland. Good luck with the new product lines and we look forward to seeing your website. Johan – Thanks again for the opportunity to take part in the conversation, Met vriendelijke groet – Kind regards. Reactive stain allows Royal Dutch to achieve some incredible two-tone color appearances. Wow, those are some truly great pictures. The reactive stains are especially unique. I had the chance to play around with the stains last week and they will produce some really remarkable colors.